So you’re engaged! Congrats! 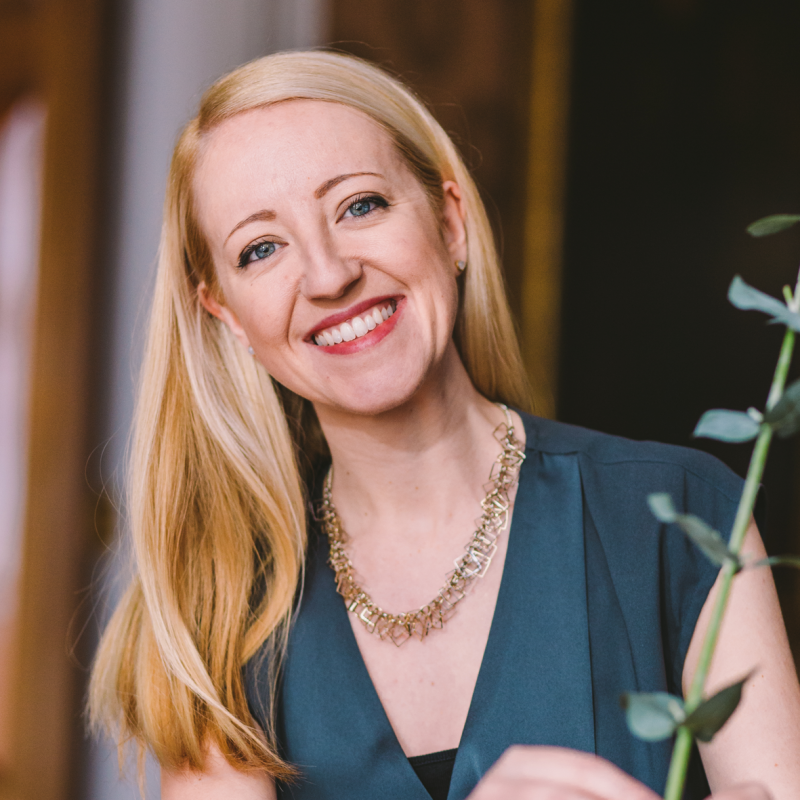 During this exciting time, you may want to throw a party to celebrate such a big milestone in your relationship – and perhaps also just for fun! People will want to congratulate you on your engagement, and let’s be honest a party is so much better than a text or phone call! An engagement party is also a great time to introduce the important people from your lives who are going to be seeing a lot of each other during the planning process. It’s important that family members from both sides have a chance to properly meet and get to know each other. Traditionally the bride’s parents will host a party but these days you can celebrate however you want. We’ve collected our favourite themes, some are pretty and classic and some are a little more usual! 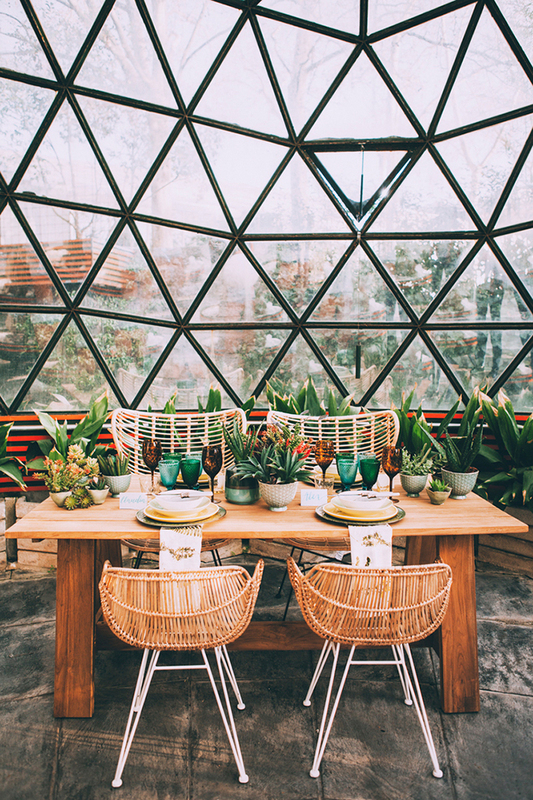 If you’re a couple who love to explore the globe together there is nothing better than a travel themed party, particularly if you got engaged abroad. 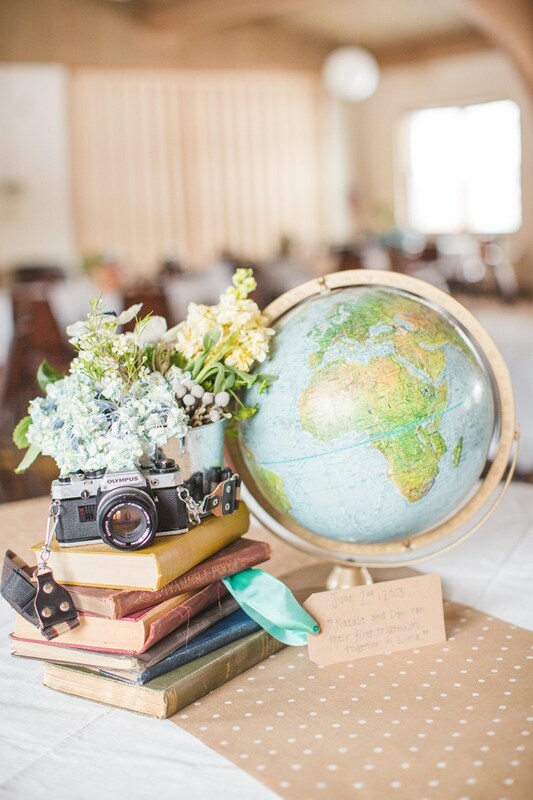 We’ve seen lots of ideas all over Pinterest and it seems as though the key things to include are globes, vintage suitcases and toy aeroplanes for styling props. Why not make some paper flag bunting out of old maps and scour flea markets or your granny’s loft for vintage suitcases? 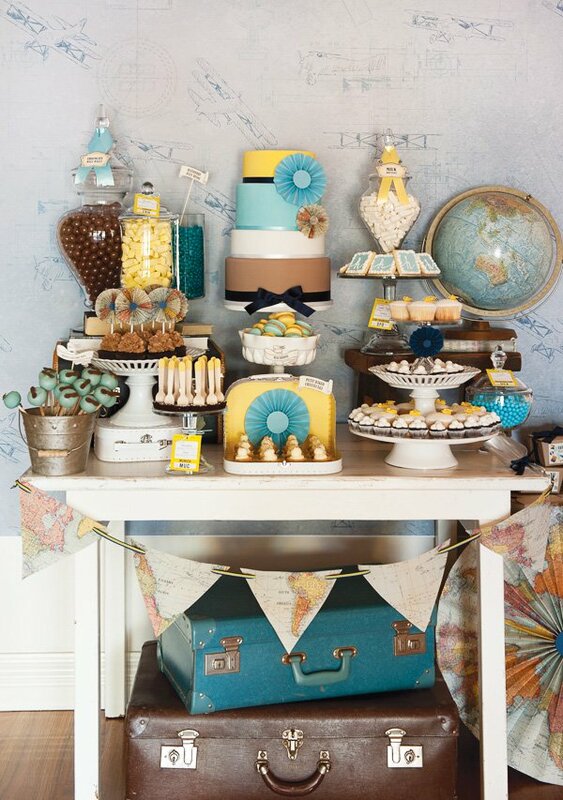 Serve food on vintage cake stands and plates and make sure you have plenty of old travel related items to hand to bring the theme to life. Images via HWTM and Ultimate Bridesmaid. With the spookiest day of the year around the corner, we had to include a Halloween themed party! 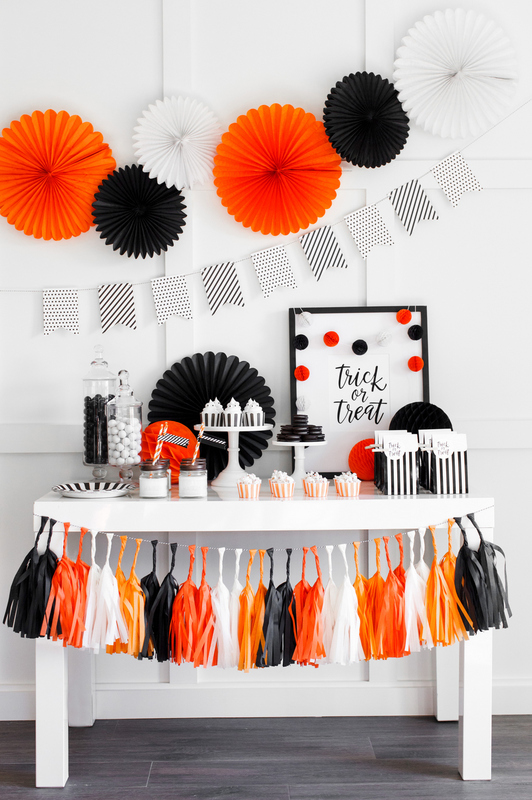 Things don’t have to be scary, in fact, it’s quite easy to make Halloween parties chic not spooky! 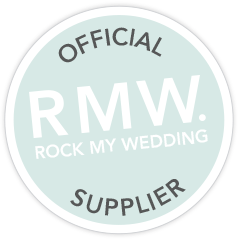 Plus you can have more fun and colour than you would do at your wedding. Stick to a colour palette for the whole party, classics tend to be black, grey and white with some orange or green thrown in for a pop of colour. 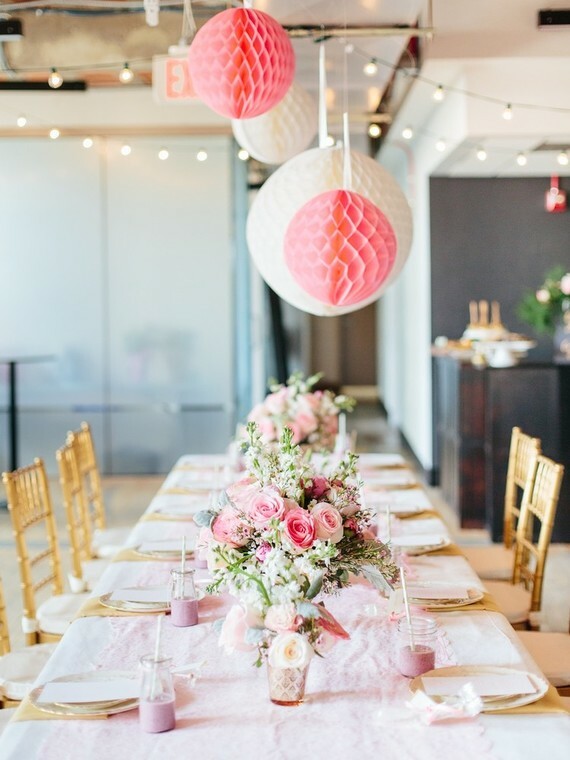 Hang up simple paper decorations like bunting or paper tassels and serve all the food on classy white plates. 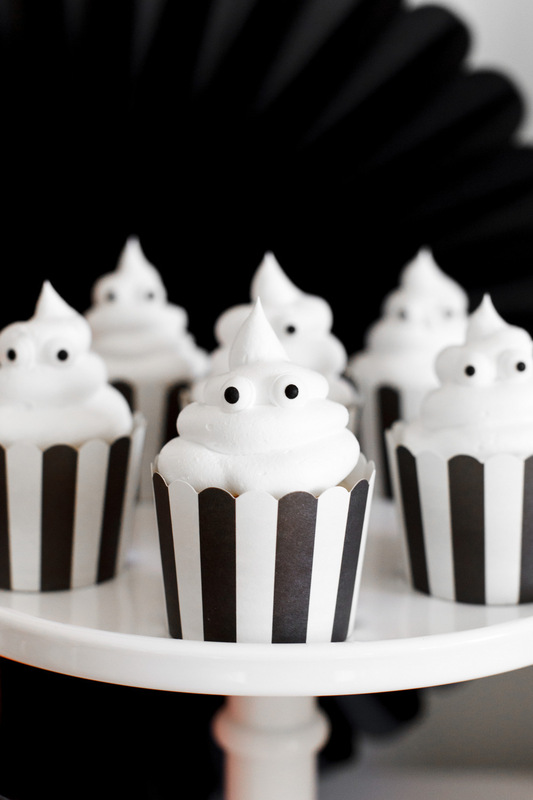 Why not make a blood-red cocktail and marshmallow ghost cupcakes to keep things cute yet striking? 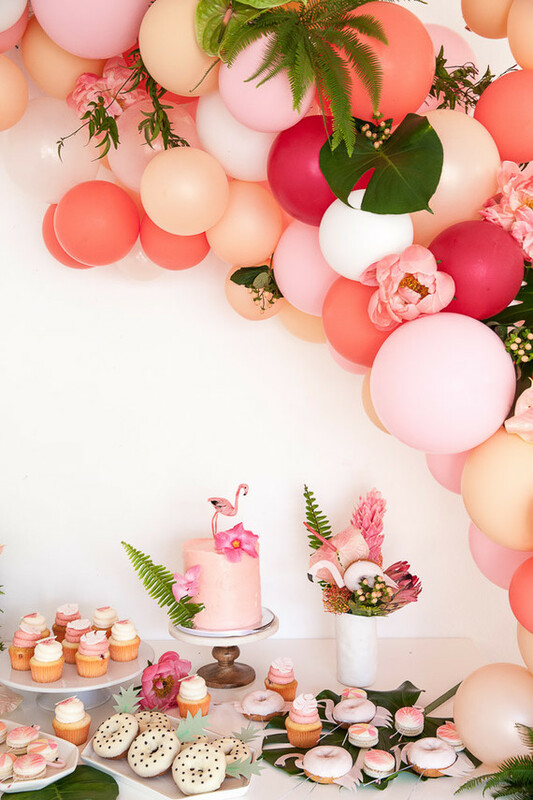 This has to be the most fun theme on the list so go for it, engagement parties are all about the party, it’s not your wedding so don’t take yourself too seriously. Images via Tom Kat Studio. I don’t think there’s anything more classy than a 1960’s themed party. 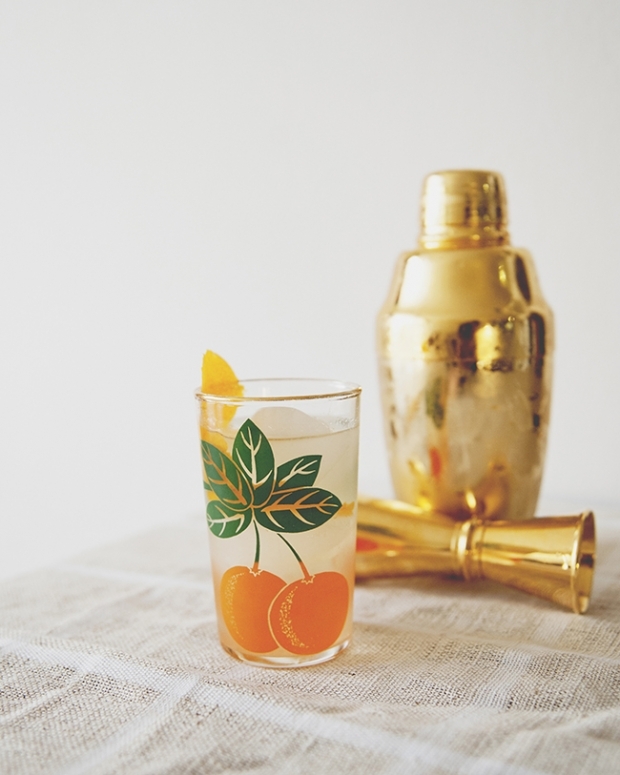 This one is perfect if you already have Mid-Century furniture in your home or can rent a venue that has a Mad Men vibe. Perfect for lovers of vintage style this party will ooze style and sophistication, just make sure you have plenty of Manhattan cocktails on hand! The key things to remember are lots of cocktails, music from the period and lots of Mid-Century styling. We recommend bringing is houseplants, cocktail making equipment and cane furniture for a real retro look. You could even screen episodes of Mad Men in the background. 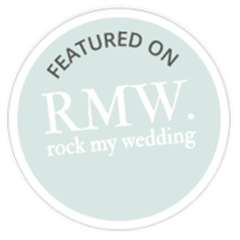 Images via The Kitchy Kitchen and Ruffled. If you’re a fun loving couple who adore bright colours a tropical theme may be perfect for you. This idea is probably the easiest to pull off as a few large floral displays will add real punch. 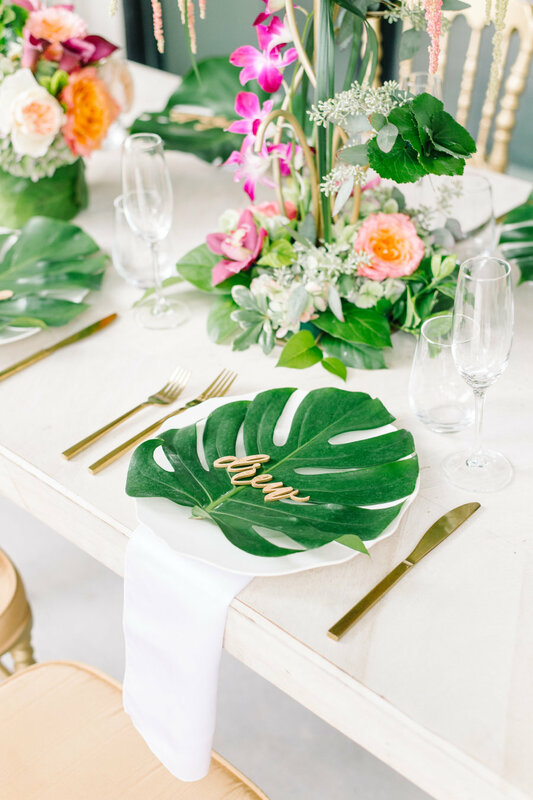 If you want to take the styling to the next level we suggest sourcing some faux leaves to use as place settings and hanging decor. Brightly coloured streamers and paper tassels also work well and if you’re on a time limit you could simply use balloons. Topical party supplies are easy to come by and most supermarkets stock paper cups, plates and straws all with a flamingo or pineapple theme. Images via SMP and 100 Layer Cake. If you want something a little more traditional and demure an English country garden tea party could work well. The key for this theme is to go for classics, so that means teacups, roses and traditional afternoon tea treats. 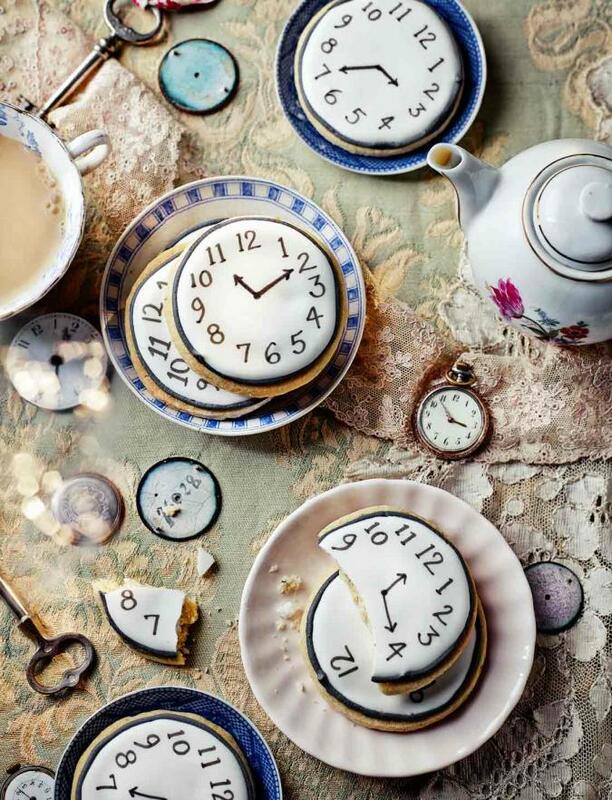 If you want to ramp it up a little you could inject some Alice in Wonderland styling like the clock biscuit idea above. Stick to simple styling and lots of cake with small tea themed props like vintage teapots and cake stands. If you like the Alice in Wonderland idea remember to include hare motifs and hats in there somewhere, maybe even an odd dormouse in the tea! Images via Sainsburys and 100 Layer Cake. 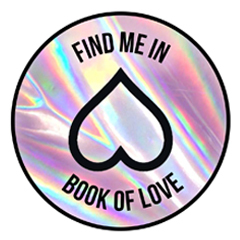 Our last theme is one for you festival lovers! This idea is a great one as it’s relatively simple to pull off and it creates a cool and relaxed party vibe. If you want to build your own mini-festival tent all you’ll need is a garden gazebo and lots of cotton and lace fabrics to cover it. Style up your outdoor space with lots of vintage throws and macrame pillows and you’re good to go. 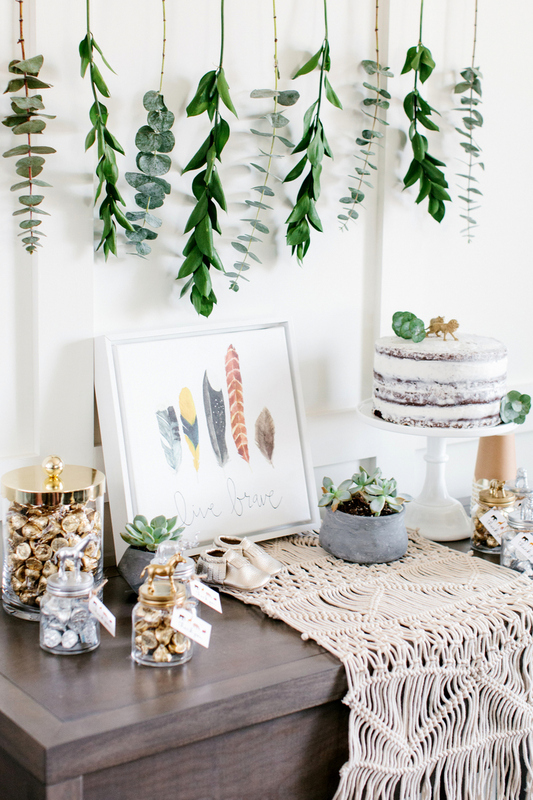 If you’d prefer to host a party indoors, style up your food table with a textured wall hanging and lots of plants. 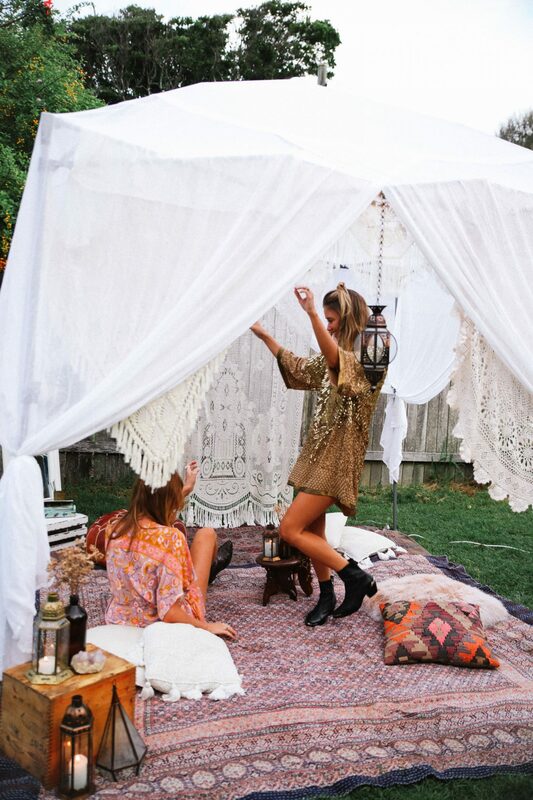 Dreamcatchers, feathers and lanterns will all add to the boho look so gather up anything that looks like it’s from the 70’s! Images via Spell Designs and Tom Kat Studio. 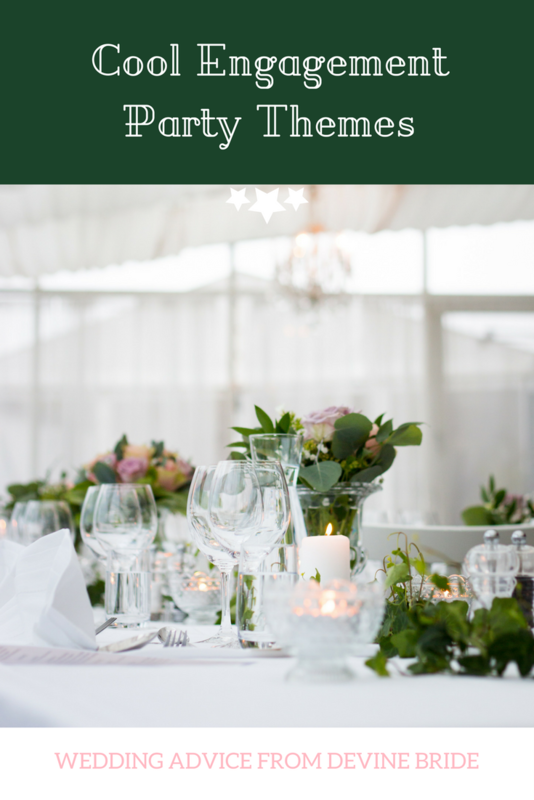 We hope you found these slightly different engagement party themes useful, please let us know if you decide to go for any of them and happy planning! And remember, have fun with it! 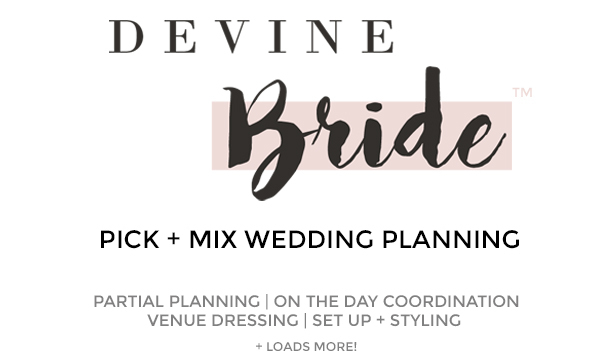 It’s not your wedding so you can be a bit more playful and daring, or use it as a wedding warm up!